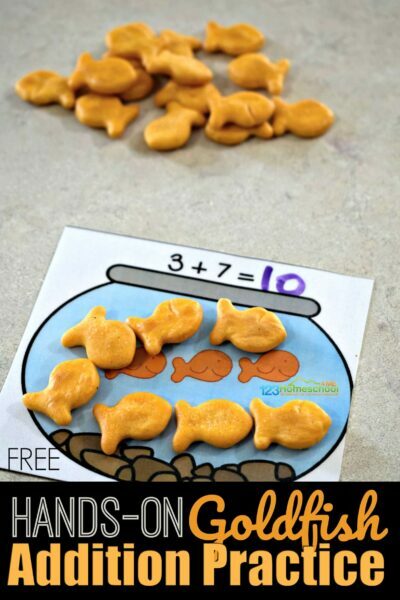 This Hands on Goldfish addition practice is such a fun addition within 10 activity to make math fun for kindergartners. 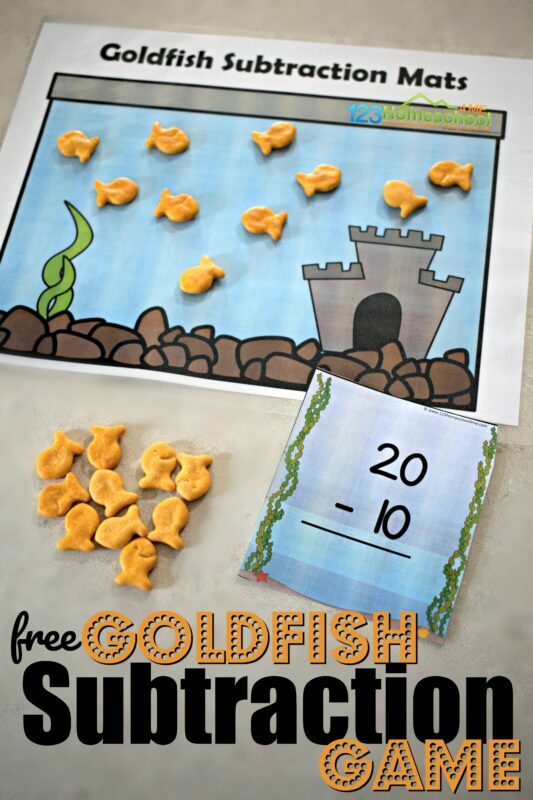 This addition printable makes it fun for kindergartners to practice addition within 10 with a yummy manipulative- goldfish crackers. 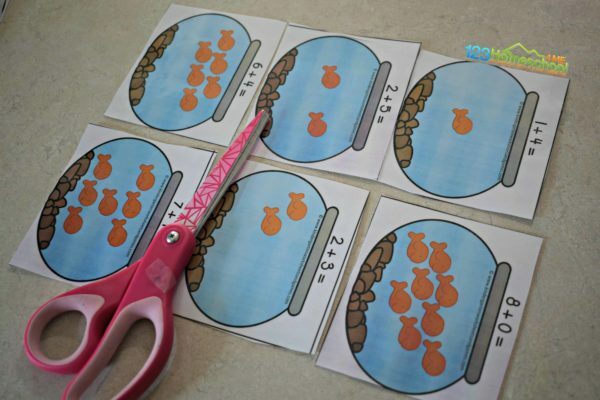 Start by printing the addition within 10 cards. Then laminate for durability, and cut apart. There are 30 cards in total. 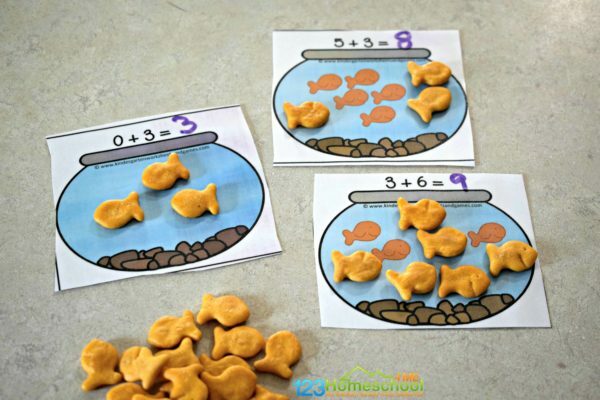 Students will add fish crackers to the fish already in the bowls. 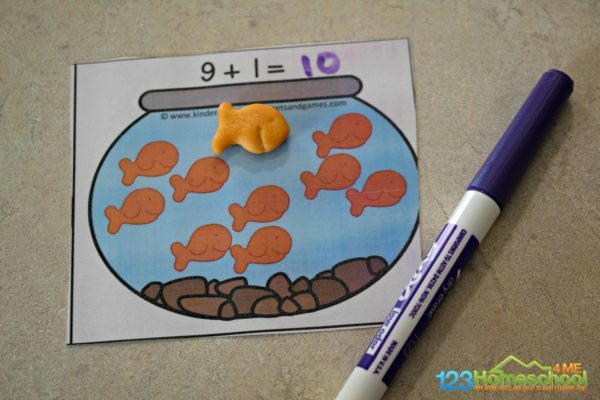 Now kindergartners will count the total number of goldfish and write the sum on the card. HINT: As these cards are laminated, dry erase markers will wipe right off and can be reused. Repeat on remaining 29 cards. 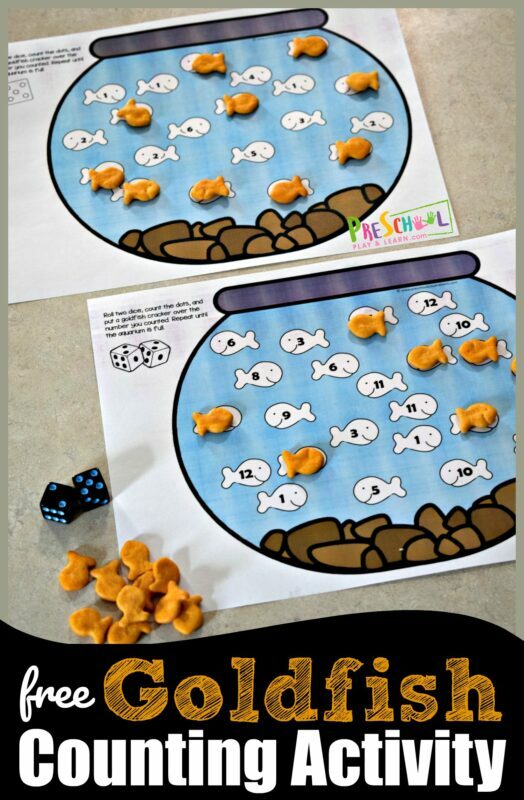 This is such a fun hands on math activity to make addition practice fun. 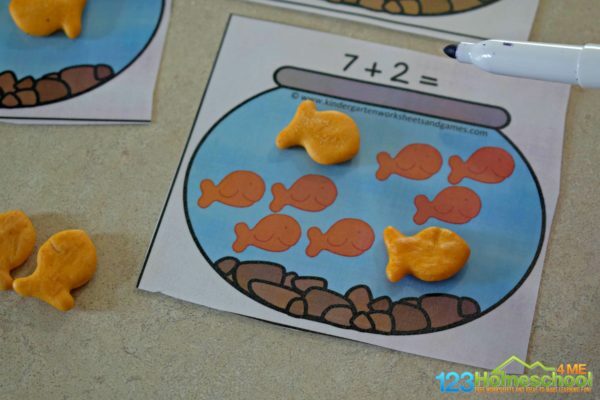 This activity will help kids think math is fun by practicing addition with goldfish crackers. Plus when they are done they get to eat their snack. 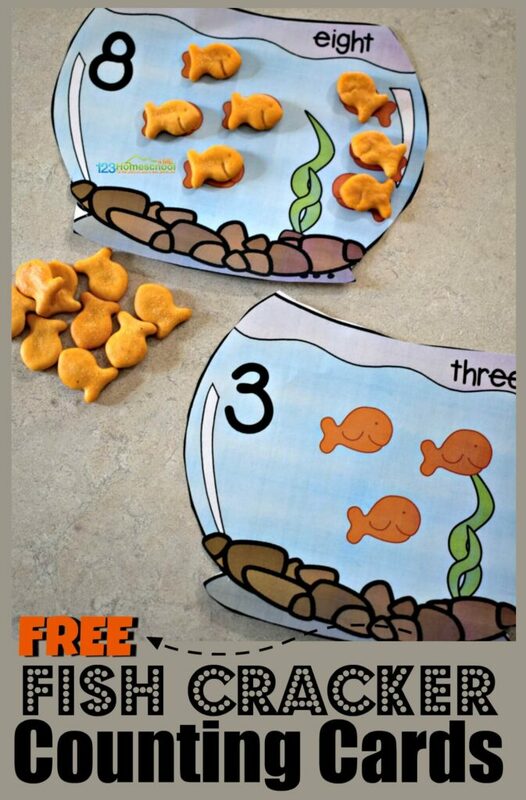 This is great for homeschooling, kindergarten centers, summer learning, and more!